Welcome, Stephanie to the #C5Family! 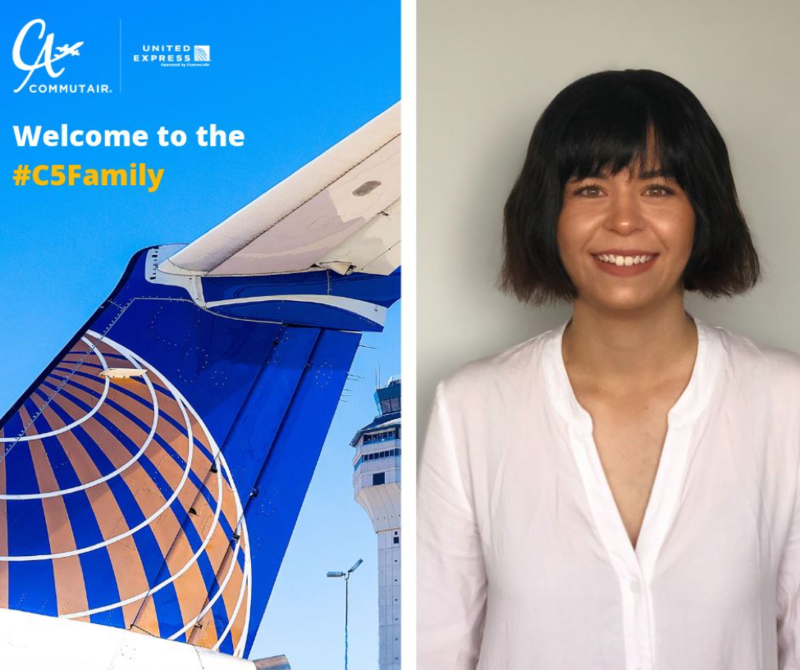 Stephanie joins CommutAir from Torrensville, South Australia and became CommutAir’s first female E-3 pilot! She started her journey by traveling 10,225 miles to onboard in Cleveland and will head to Dallas later this week to complete her ATP/CTP requirements! Pilots interested in CommutAir’s E-3 program should visit www.flycommutair.com and can apply online via Airline Apps, below!